The elegantly fashioned top is the product of coach builder Wilhelm Karmann. The roof is constructed of high-grade materials, with a triple-layer headliner that is truly remarkable for its rich texture, uniform contours, and insulating properties. The ride was not effected by the introduction of the Convertible model. That's as smooth and tranquil as its hardtop sibling's, or perhaps even better because of changes made to the chassis to accommodate the articulating top. The rear shock absorbers were moved from the upper suspension arms to the lower links to make room for the roof's stowage bay, and the front-suspension subf-rame is bolted directly to the body shell. That required re-tuning of the front elastokinematics, producing — if anything — even better steering quality. What hasn't changed for '12 is the tidal surge of irresistible torque from the 6.0-liter twin-turbo W-12, or the creamy four-wheel drive. But you can now enjoy these things alfresco and be visible to the public in the accepted aristocratic style. 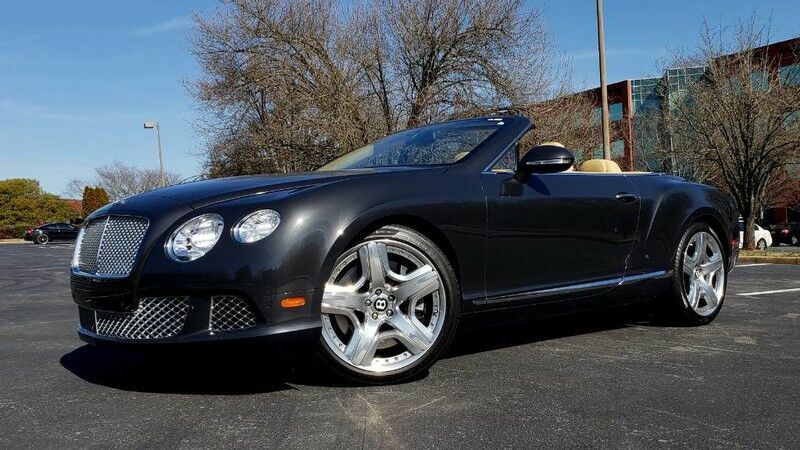 Come in today and test drive this Bentley Continental, on your way to ownership!